Did you miss directions on how to make this? 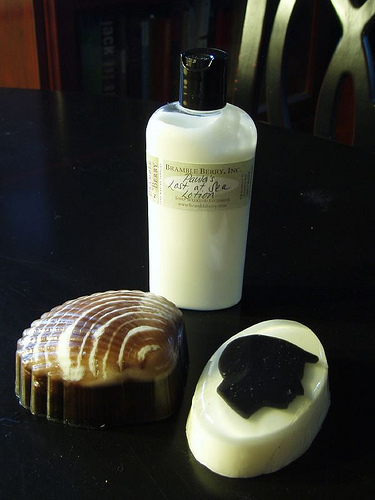 These are SoapyLove’s creations from the soap weekend – be sure to check back with me in a few weeks to learn all about making lotion! So, what do you think? Will you try this at home? If not, why not? And did I miss any major steps or questions that you have about this project? Post a comment and let me know. 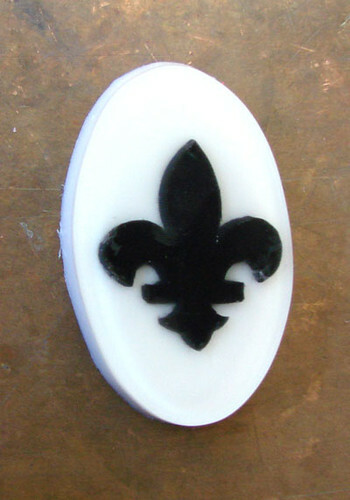 I didn’t put any fragrance in the clear because I was worried about the fragrance clouding the clarity of the soap. So, I scented heavily for the white backing. Your idea of a pumpkin is awesome. Mind if I try it as well? It sounds like the cookie cutter idea is a definite winner so maybe I’ll re-do the project with cookie cutters for a pumpkin or thanksgiving theme. Sorry to post as anon but it won’t let me log on. Once I get some black colouring I’ll give this project a go. I agree with others that it will probably be with a biscuit cutter. 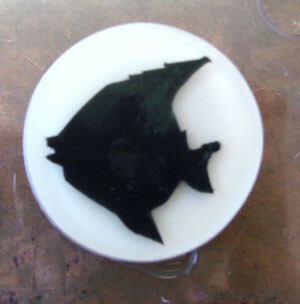 I was thinking of just filling some little embed moulds to a thin layer and using them too. (I’ve got stars and I might cut out a moon with a knife). The instructions were easy to read and follow. Just one question did you bother to add fragrance to the clear and black parts? I definately will be trying this, and using cookie cutters. Thanks for teaching us so well. I’ve done this kind of thing with a yellow on yellow and an angel cookie cutter. I no longer have pics for some reason and the soap is long gone but it was very cute. 🙂 I had never thought of using a thin clear layer though to help the cut out stand out. That will be most definitely be something I use next time. What do I think? I was wondering how this was made, and with a little practice I think a little trial and error~ I think I could do it. I like Megan’s idea of doing the silhouette with a pumpkin~ one idea drawns another~ that’s why soap making has endless possibilities! Such fun! I love the idea! I think I am going to try it. I could even do it with an orange pumpkin for the silhouette, for Fall. How cute would that be? I do like the classic black & white tho! great tutorial!